The Absolute Easiest Way to Clean Your Sink! You've seen the soap, vinegar, salt, lime/lemon technique for cleaning your sink, but I'm here to tell you it's so much easier than all that! My husband and I own an eco-friendly cleaning business, and the absolute best way to clean your sink is with 2 simple ingredients. Start with a dirty sink. Okay, I know this isn't *that* bad, but if you look near the bottom left and right, you'll see some gunk in there. This technique works for MUCH dirtier sinks, but after reading so many silly and involved techniques to clean sinks on pinterest this morning, I ran into the kitchen to clean mine, so that I could share it immediately. I promise this works with the nastiest of sinks! Like I said, we use this technique for our business, so we see it all! Baking soda, a paper towel, and some water. Sprinkle on some baking soda. Wet a paper towel with water, and start rubbing in circular motions. The granules in the baking soda will start scrubbing, but will break down in just enough time to prevent any scratching. If you're having any trouble at all, wet the paper town some more. It should be pretty wet, but not so wet that you can't move the baking soda around. Just experiment with it! Scrub until the sink feels smooth and you don't see anything else. 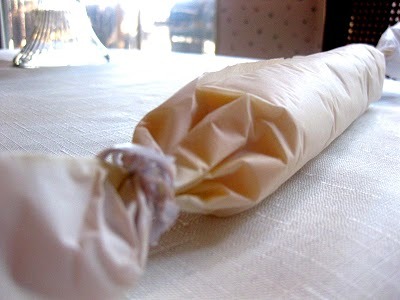 Wet another paper towel (or rag) and use your sink sprayer to get off the excess soda. ***If you see ANY cloudy looking residue, it means you've left some baking soda on the surface. Rinse and dry until it's all gone. If you rinse well enough the first time, you won't encounter any residue. If you want to follow with any soap or vinegar you can, but I don't do this at my own home. Valentine's Day has come and gone, and if you're anything like me, you're still in recovery mode. We don't do the chocolate candy thing, but we do a lot of cooking that involves sticks of butter (you read that right, sticks is plural), chocolate covered strawberries, cookies, calories, fat, and butter. Did I mention butter? Butter on a muffin. This was obviously not during a Weight Watcher's episode! A MASS amount of butter, melting on a skillet! 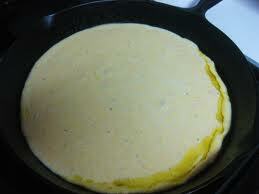 Cornbread batter. All that butter on the bottom seeped up to the top. 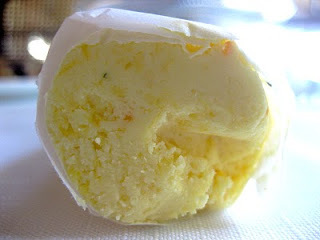 Butter again. Shocking, isn't it? But here's what I'd like to know. . .how do those of you who have kids manage to SURVIVE? We do not have kiddos yet, and our lives are always crazy busy. One of my favorite things to do is cook a nice meal. It makes me feel good to put food on the table that's healthy, fresh, and typically something I popped up out of thin air. It's a pride thing, and I love doing it. Even when I'm looking for a quick fix at the grocery store, I'll bypass all the junky stuff because the ingredient list is horrendous. I mean, what do they put in that stuff? I'm pretty sure I'd rather not know, thank ya very much! Even still, there are a few brands (very few, but a few nonetheless) that I buy on occasion and absolutely love. 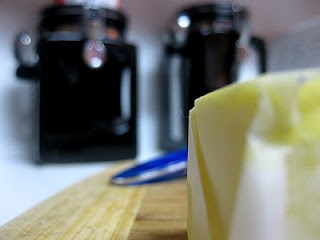 So here's what I'm saying -- Right now I happen to be on a Weight Watchers kick, which means butter is not getting much attention these days. Pizza (several ways). Bake @ 425F for 8-10 minutes. Cook directly on middle rack. 1. Pita bread, pasta sauce, fresh basil, and mozzarella. 2. Pita bread, pasta sauce, thin sliced bell peppers, sliced olives, cheese. 3. Pita bread, basil pesto, rotisserie chicken, cheese. 4. (My fav) Pita bread, - make wing sauce (made with melted butter and louisiana hot sauce to taste - about equal parts, maybe slightly more butter though. Add rotisserie chicken to wing sauce to coat), add chicken/wing sauce to pita and top with mozzarella cheese (or blue cheese if that's your thing). **All pita bread can be subbed with your favorite tortilla -- even thin tortillas work excellent! Dice up your favorite (or leftover) vegetables (I like bell peppers, onions, and spinach) and cook over medium with a little olive oil or butter. Add a few eggs and stir around. You can add some milk, half and half, or water, but just add a splash. Serve over corn tortillas or with hot sauce. My absolute favorite go-to meal these days are these lovies. . . I grabbed this picture from their website, since I devoured the nuggets I made. See, since Chris and I don't eat out or buy the typical frozen food anymore, we miss out on some of the stuff we grew up with, like chicken nuggets. Sure, I try to make them from scratch sometimes, but that can be really time consuming, and I was actually giddy when I tried these bad boys! Chris dipped his in honey and it was love at first bite (for both of us, actually). 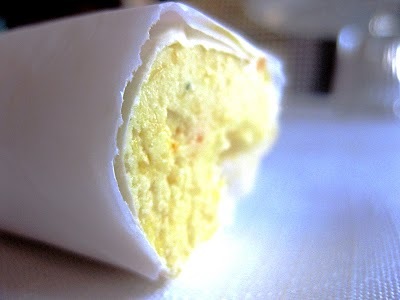 These things are seriously delicious, and the very best part is that they use real, natural ingredients. Oh, and they're gluten free! Chris and I have been through 2 family-sized bags in less than a week. Here's the ingredient list: "Chicken, Water, Corn Starch, Salt, Extract Of Oregano, Battered And Breaded With, Water, Rice Flour, Tapioca Dextrin, Corn Starch, Salt, Spices, Spice Extractives, Extract Of Paprika, Extractive Of Turmeric, Garlic Powder, Onion Powder, Ground Celery, Breading Set In Canola Oil." Look, I know this doesn't sound healthy at all. I'm suggesting things like, "hot dogs, pizza, chicken nuggets," and now, "nachos," but bear with me here! These things don't have to be unhealthy! It really depends on the brand. In the case of nachos, you don't need to buy much. Just grab some chips and throw on whatever you want with cheese. Queso is good, but I can't ever find any without rennet, and since I'm usually not up to making it from scratch, I just throw on some shredded cheese (horizon or organic valley offer rennet-free, if you're wondering). Okay wait! Come back! I know what you're thinking . . . HOT DOGS? Eww! Okay, maybe that's just what I'm thinking. Let me be clear, hot dogs absolutely disgust me, because we all know what's in them! Or wait, do we? I guess what's the gross part, we really don't know what's in them, and we don't want to know either! We just know it's gross and that's enough. Chris and I stopped eating hot dogs for years because of that very fact, but then we found something. We found a brand that isn't junky and the ingredients are actually very amazing. Can you use the word amazing in reference to a hot dog? You can. I did. They are! 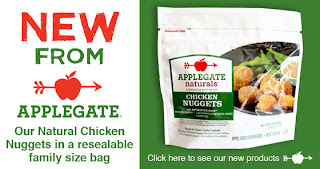 I'm going to have to race on this brand - Applegate Farms. Heard of them? I hadn't until maybe last year. I ran across their turkey bacon (that's another story for another day) and almost died when I finally found bacon without weird ingredients and phosphates. Anyway, back to hot dogs. I like the applegate brand since the ingredient list is this: "Organic Grass-fed Beef, Water. Contains Less Than 2% Of The Following: Sea Salt, Organic Paprika, Organic Dehydrated Onion, Organic Spices, Organic Nutmeg Oil, Celery Powder." and they are filling, more lean, super tasty and organic! Sweet deal, my friend!! Add a little sour kraut and you've got protein and veggies! Since we've been lucky to even have a lunch at all these days, fast and easy is what it's all about! You've heard about this right? 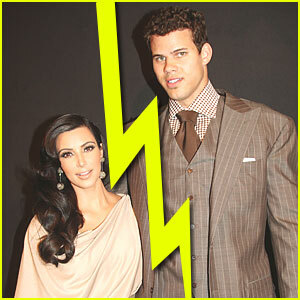 Apparently Kim Kardashian has filed for divorce against her new husband, Kris Humphries. I'm all for marriage, and I happen to be in one that continues to exceed my expectations in every good way possible, but while I wish this couple all the best, I can't help but to say. . . DUH! I don't know anything about their relationship other than what their show displays, but those episodes were almost painful to watch. Did you see them?? Was it the production team and editing that made Kris Humphries look like such a jerk? Did we only see the bad side of their relationship? Look, I didn't know my husband for quite a year when we got married, and we were engaged a lot sooner than that. I know you can meet, fall in love fast, and get married almost immediately and maintain a successful, happy marriage. They said they were in love, I get it. I'm not saying things like this can't happen, but the show gave the impression they barely knew each other at all, and even that her family couldn't stand him, really. Who knows what the reality of this show really is. The "jerk" side of this guy came off as a reality check to a friend of mine. She felt Kris Humphries wasn't a jerk at all, but a good dose of reality for Kim. Either way, I really do wish them the best. And who knows that the next issue of People won't be about their reconciliation, or that it will turn out a total hype and they are actually very happy! I tend to believe they didn't do this marriage thing for show, and actually were in love, or thought they were. Marriage take humility, and if you don't have it, you have the opportunity to learn to have it! It's easy to assume you should just give up on marriage if the other party isn't doing their part, but it's difficult to force yourself to focus only on yourself and not what you feel your spouse is doing wrong. Hopefully these 2 will work things out. I wish them all the best! We're all about Halloween in our household, and this recipe is also all about Halloween. Read the history here, and then get busy making these bad boys! My husband and I saw one of those cool Halloween episodes on Food Network last year and he's been trying to get me to make them ever since. October has been the busiest month for our business (and life in general), so I haven't done much Halloween cooking. In other words, I owe him. I owe him big time. So tomorrow night, the night before Halloween mind you, I'll be making soul cakes so that he can wake up and eat them for breakfast on Halloween morning. 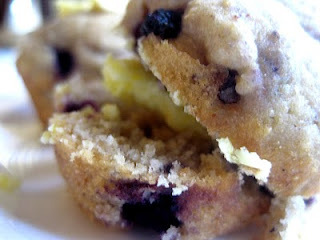 So, with that said, I haven't made this recipe yet, but it looks amazing! I figured I'd share Caroline's recipe with you guys. Please let me know if you try it and how it turns out! Email me your pictures, or comment and give me a link to your blog about it and I'll share it in a post. Life is all about sharing . . . and chocolate, but that's another post! 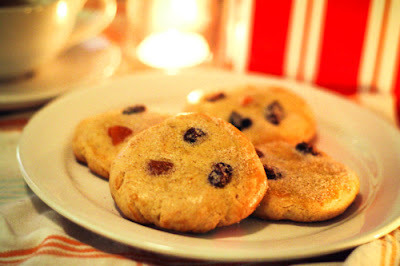 Here's one of Caroline's gorgeous pictures of her soul cakes, taken straight from her blog at Talks About Food: Check her out!! Hey Halloween people!! 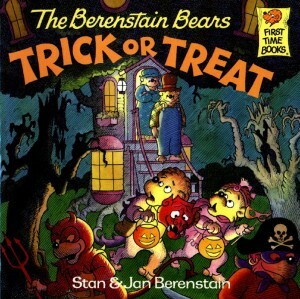 Look, I know you're probably here because you're looking for some really amazing halloween blog, and you came here, and you see a blonde cartoon chick with an apron, and a blog filled with all kinds of light blue, pink, and various flavors of cupcakes. This isn't the blog you thought it was, I get it. BUT WAIT!! Please don't go! Let me exceed your expectations. I am obsessed with Halloween food, decorations, clothes, and everything else spooky. Last year, I changed my entire blog to just Halloween things, and this year won't be much different. I may look all girly, but there will be ghosts, pumpkins, food, crafts, and creepy things. * How-to guideline on making the EXACT pumpkin that is on the Halloween movies. This is an exact replica, and it now sits on our fireplace and haunts me when I play checkers with my husband every night. I hate that stupid thing, and I'll share it so your wife (or husband, or kids, or whoever else) can hate you too! * Ghost food. I get that that makes no sense, but we're a little obsessed with ghost related things in my house, and I happen to love to cook. This means I make almost every meal in our house ghostly in the month of October. More to come..
* Random fall crafts. Sorry, but it's not just Halloween time, it's also Fall. Our church has a Fall Festival coming up, and I need to make all kinds of weird things, so get ready because it's coming! * Random pictures of Halloween things I find and love. 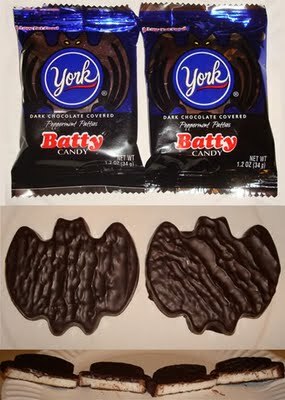 The latest is a peppermint batty.. like a peppermint patty but shaped as a bat. GENIUS. * Pictures of junk in our house. Creepy things my husband loves to scare me with, and cute little decorations alike. LOTS of halloween things to come! Has it really been 10 years? Where did the time go? Sept 11, 2001 -- I remember waking up to the phone ringing. My best friend called to tell me about how one of the twin tours has been hit by a plane. I couldn't hardly make her words out, but I knew she wasn't making any sense. We live in Texas, and yet somehow, I could hear the fear in her voice. She's the strong one in our group, and yet she sounded utterly terrified. Her voice was trembling as she mentioned what has just happened. I ran down the stairs of my parents house and turned on the news. Together, we watched in silence. All I heard on her end were sniffles and whimpers every now and then. Together, we watched the 2nd plane hit the other tower. We gasped together in shock. To know people were dying right there, out of nowhere was more than I knew how to wrap my mind around. To see people jumping from 90 stories and above, because they had to choose between that or burning alive, was just too much for my 19 year old mind to comprehend. 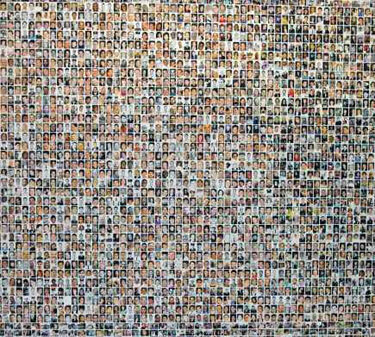 The image of people jumping still burns in my mind today, and I have chills as I type this. We continued to watch as the first tower fell, and then the second. We were horrified in knowing another plane crashed into the Pentagon, and then that another plane was in the midst of being hijacked and that it eventually crashed into a field. All we both knew to do was cry. I sat in a fetal position and felt myself shaking. I was home alone, my brother was at school and my parents were both at work. For us, it was just another day, as we were doing our normal routine. For them, it was the worst day of their life. I felt scared for my family's safety and even my own. We weren't anywhere near areas that had been hit, but were were affected. The whole world was affected. I needed to be closer to my family, and I didn't know how to even feel about this situation, other that total fear, disbelief, and extreme sadness. As the days after passed slowly, more news came out. The plane that crashed into the field took down the terrorists. Details emerged that heroes inside the buildings were carrying handicapped and elderly people down 50 flights of stairs. As victims fought to get down the twin tour stairs, they passed fire fighters going up. Firefighters who never made it back down those stairs. Instead, they will forever be remembered as heroes. Stories about 2 men who worked in the 80 something floor came out. They saved people on their floor, and so many people in the floors above them, and yet didn't make it out alive. 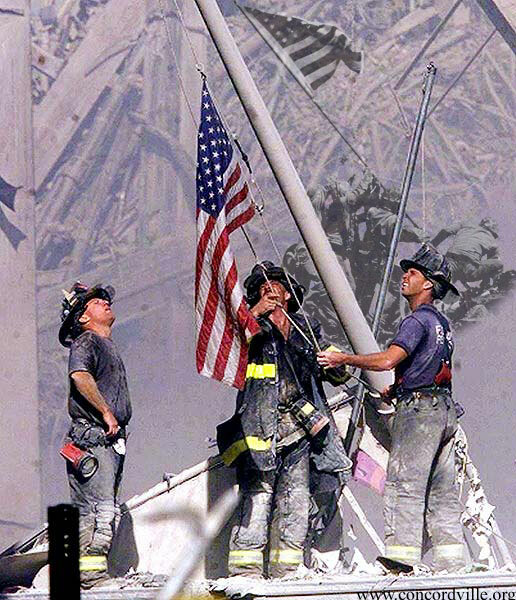 Instead, they stayed until the end, saving people who would have died otherwise. Spouses, children, mothers and fathers, and siblings all told stories about their loved ones calling them while on board Flight 93. How they vowed to save so many others by taking the terrorists down. Who knows how many lives were saved because of those brave people!? I lied awake last night, praying for all the people who's lives were changed because of 9-11, and as the saying goes, "I will never forget!" I'll never forget to keep praying for them. I'll never forget that there were so, so many heroes who's stories didn't make the headlines. 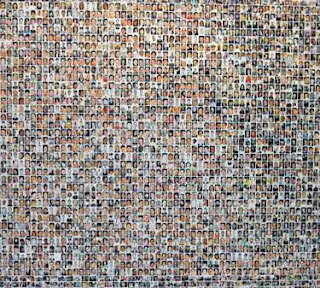 There were so many victims who didn't live to tell about the hero that died trying to save them. I'll never forget to keep thanking God for our ability to come together in the midst of something to awful. 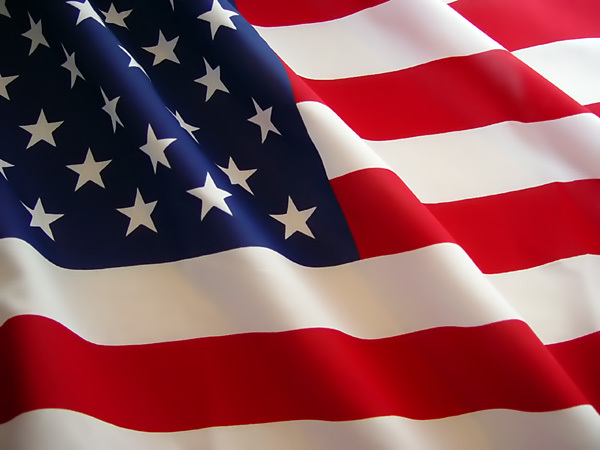 I'll never forget each and every story of those who lost a hero, so that we could gain one. I normally like to take pictures of each step, or at least a few pictures of some steps, but this recipe is just way too easy. For the chicken, all you need to do is grab a couple boneless, skinless, chicken breasts and cut them into bite sized chunks. Crack an egg into a bowl and whisk with a fork. Grab some flour (I use whole wheat) and put it in a separate bowl. Meanwhile, grab a skillet and add enough oil (I like walnut or canola oil, but olive oil works fine too) and heat to medium. You'll know the oil is hot enough when you drop a little flour in and it sizzles. To begin making these little pieces of amazingness, just dunk the chicken into flour, then egg, the flour again. Place the coated chicken on a plate until they are all coated. Add them into the oil all at the same time, so they will be ready all at once. If you're making a lot, you may need to do this in 2 batches. Tasty Kitchen - See What's Cookin'!